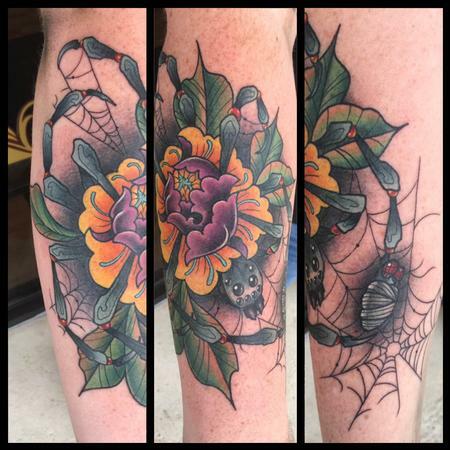 Spider with a peony from original artwork. More like this please! !